I spent over a decade in the editorial sector under the employ of two of the UK’s largest multimedia publishers. 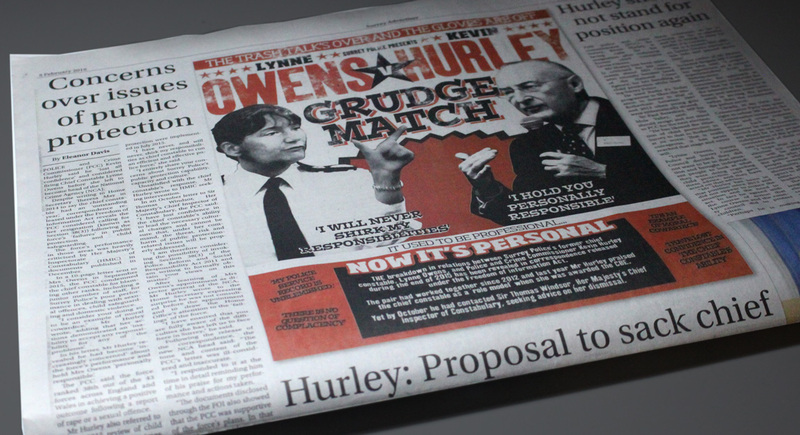 During this time I was engaged in design for a portfolio of market leading newspapers, magazines and supplements, as well as complete editorial product design, brand development and templating. 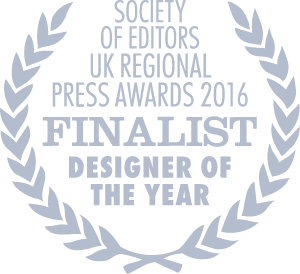 In 2017 I was honoured to have my work in this discipline recognised by The Society of Editors, who invited me to attend the UK Regional Press Awards as a finalist in the Designer of the Year category. This special edition front page marked 150 years since the birth of HG Wells, who lived in Woking during a prolific writing period – and famously had Martians destroy it in his book War of The Worlds. The 1950s/60s style employed gives a vintage feel whilst still allowing for photographic images. For authenticity, everything from the bespoke masthead, advert and typefaces were thoroughly researched and the whole page was distressed digitally to mimic print technologies of the period. This design was part of my successful submission to the 2016 UK Regional Press Awards. Copies are now held in a number of private collections including that of the HG Wells Society. House & Garden: lifestyle supplement. Review of the Year news retrospective: Cover and centre spread. 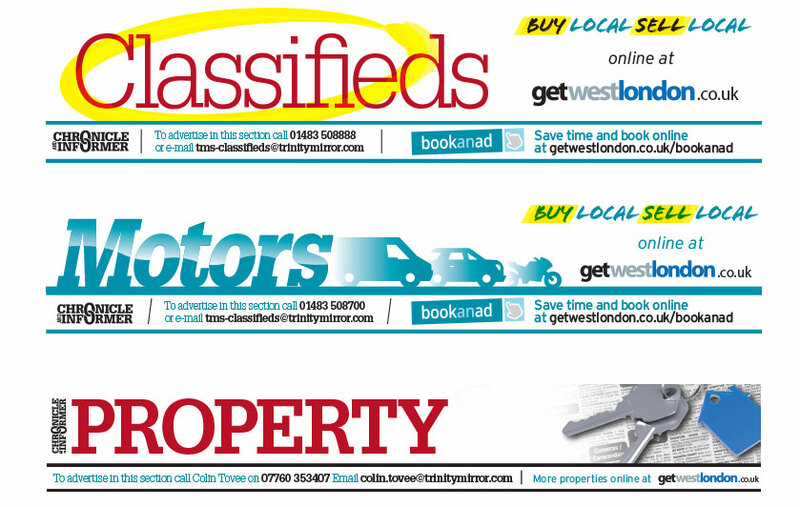 these front page visuals were used to test a range of layout scenarios and type/colour combinations. They were later included in dummy press-runs and advance publicity. Supplement marking 40 years since the infamous Guildford pub bombings by the IRA. 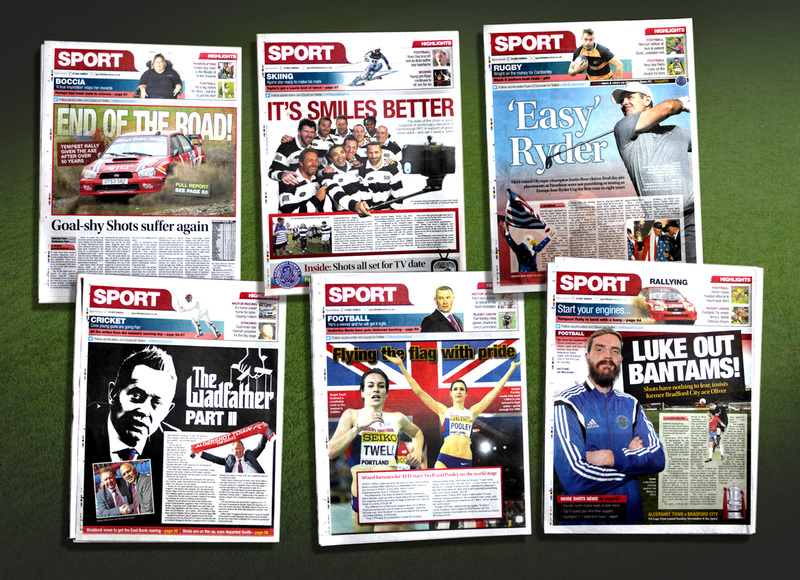 This was a redesign of the Surrey Advertiser’s well established What’s On supplement. Unusually, I was also asked to incorporate an advertising led motoring section into the product. This presented a unique challenge to combine two incongruous subjects into a single publication. See the Cover Design collection for live What’s On covers.